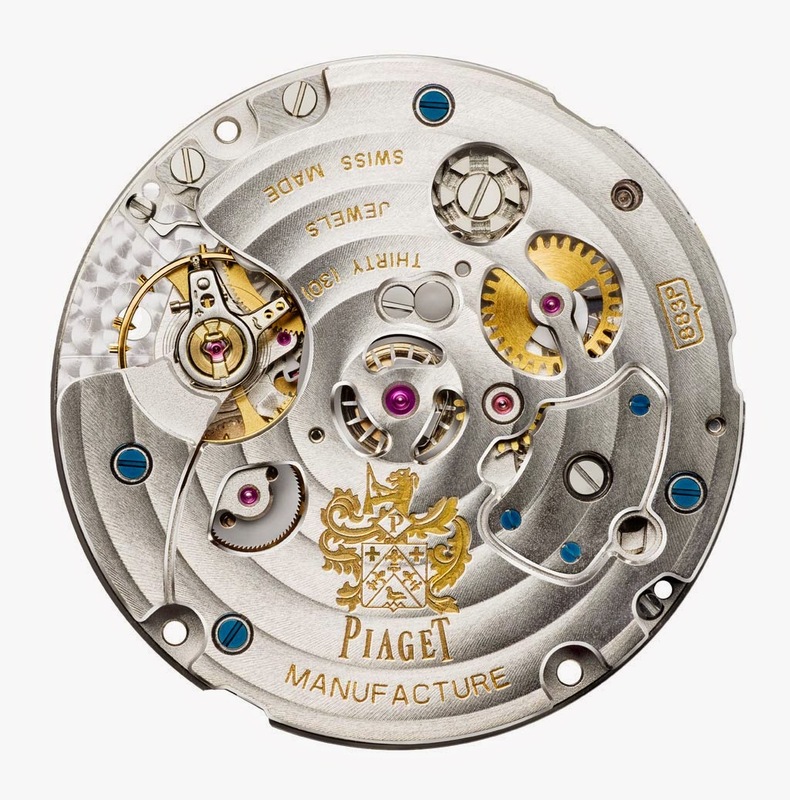 Piaget is a recognised specialist in developing ultra thin timepieces, often establishing new slenderness record in various watch categories. 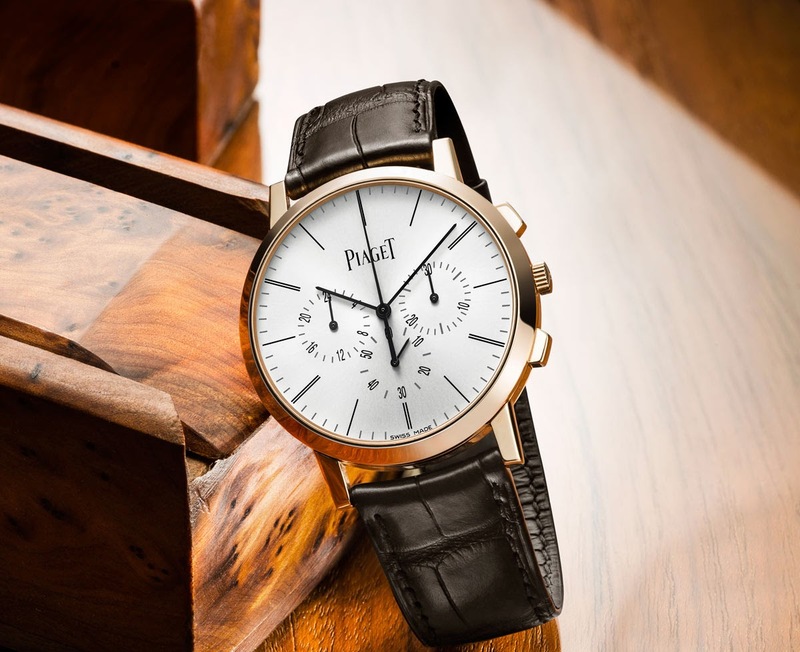 And new records have been established also with the latest Piaget novelty that will be officially introduced in January at the Salon International de l'Haute Horlogerie (SIHH 2015) in Geneva: the Piaget Altiplano Chronograph. 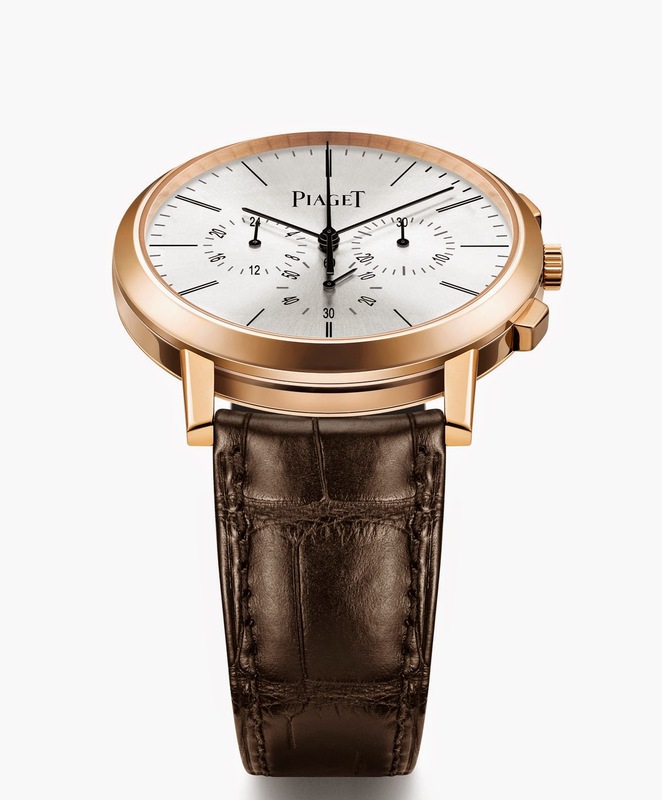 With its 8.24 mm thick case, this new model is the slimmest chronograph on the market. And inside, the 883P calibre is the slimmest hand-wound flyback chronograph movement with a thickness of just 4.65 mm. 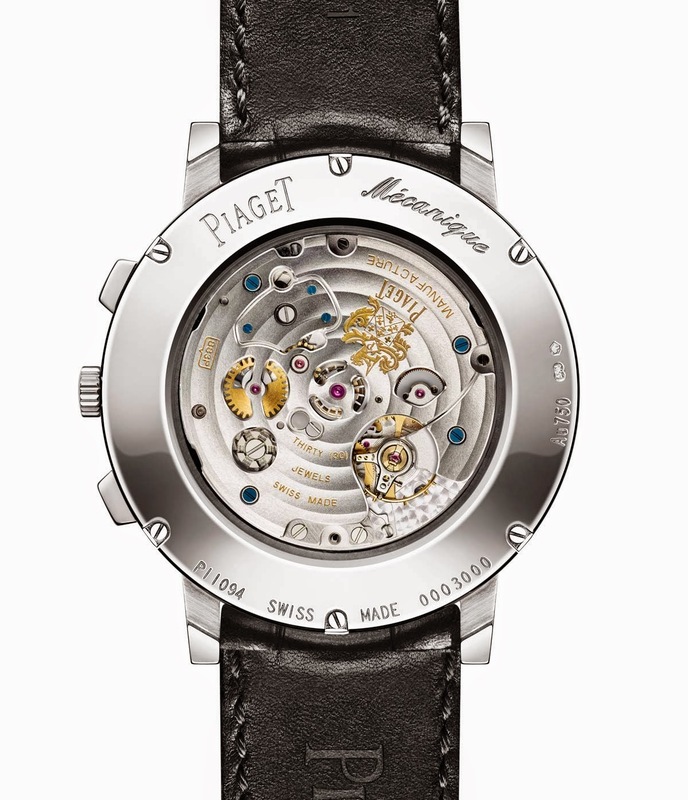 Stemming from the automatic 880P movement that is one of the thinnest on the market, Calibre 883P required two years of development in the workshops based in La Côte-aux-Fées, the birthplace of the Manufacture Piaget. Every detail had to be enhanced: from the cannon-pinion (0.12 mm) to the barrel staff (0.115 mm), from the chronograph gear finger (0.06 mm) to the hand fittings and of the glass fastening. The end result is the 883P calibre, endowed with a 50-hour power reserve and driving displays of the hours, minutes, small seconds at 6 o’clock, along with a 30-minute counter at 3 o’clock and a 24-hour dual-time indication at 9 o’clock. Not a standard chronograph, the new Altiplano Chronograph features a flyback function serving to reset the chronograph hands to zero simply by pressing them and then automatically restarting a new timing cycle. The chronograph is controlled by a column-wheel responsible for coordinating all its phases, and by a vertical coupling-clutch system ensuring perfect precision. The movement is visible through the transparent case-back and displays the typical finishes of high-end watchmaking traditions: circular Côtes de Genève, a circular-grained mainplate, bevelled bridges, sunburst wheels and blued screws. The dial is extremely simple, in line with aesthetics of the Altiplano line, and features a sunburst satin brushed finish, with slender baton-type hands sweeping over slim alternating single and double hour-markers. The counters are not hollowed but appear on the same level as the rest of the dial. 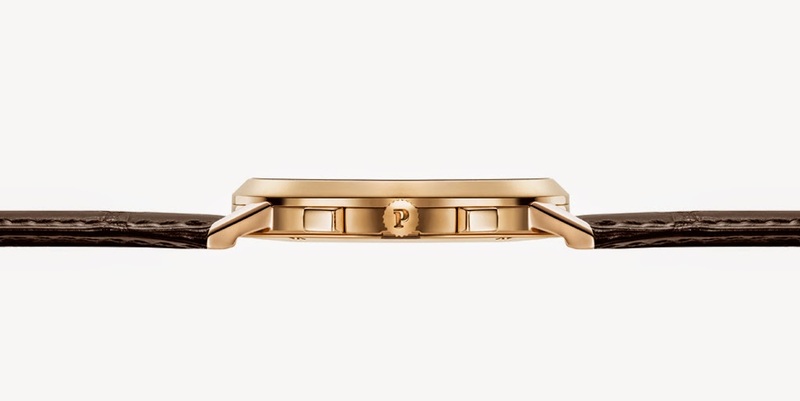 Elongated chronograph pushers blend into the curves of the ultra-thin 41 mm diameter case, available in pink gold (ref. G0A40030) or in white gold with a bezel set with 56 brilliant-cut diamonds (ref. G0A40031). 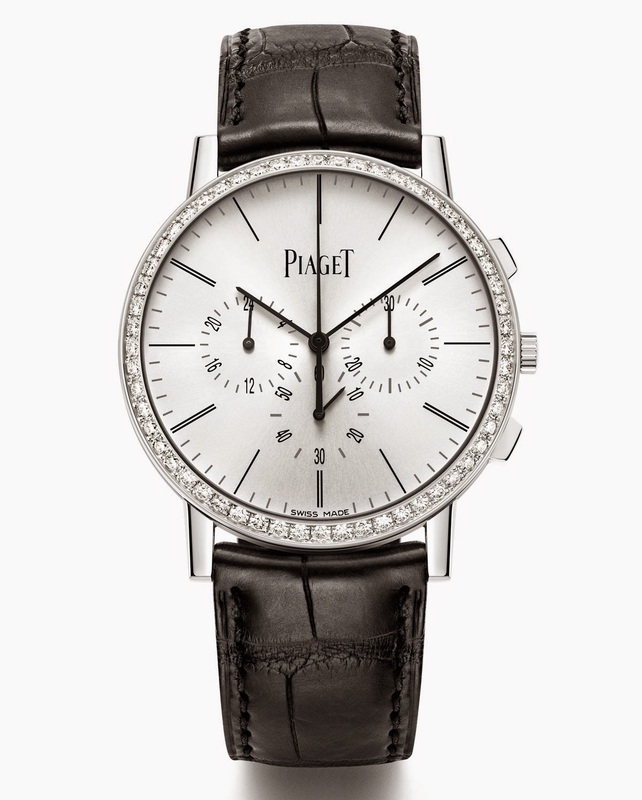 Piaget is a specialist in developing ultra thin timepieces, often establishing new slenderness record in various watch categories. 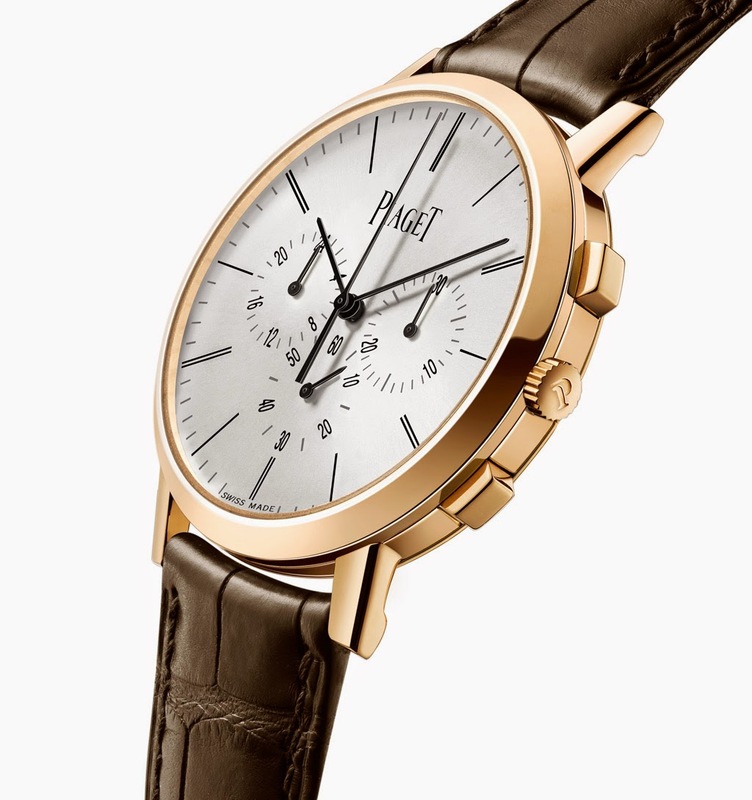 And new records have been established with the latest Piaget novelty that will be officially introduced in January at the Salon International de l'Haute Horlogerie (SIHH 2015) in Geneva: the Piaget Altiplano Chronograph. Available in pink gold (ref. G0A40030) or in white gold with a bezel set with 56 brilliant-cut diamonds (ref. G0A40031). 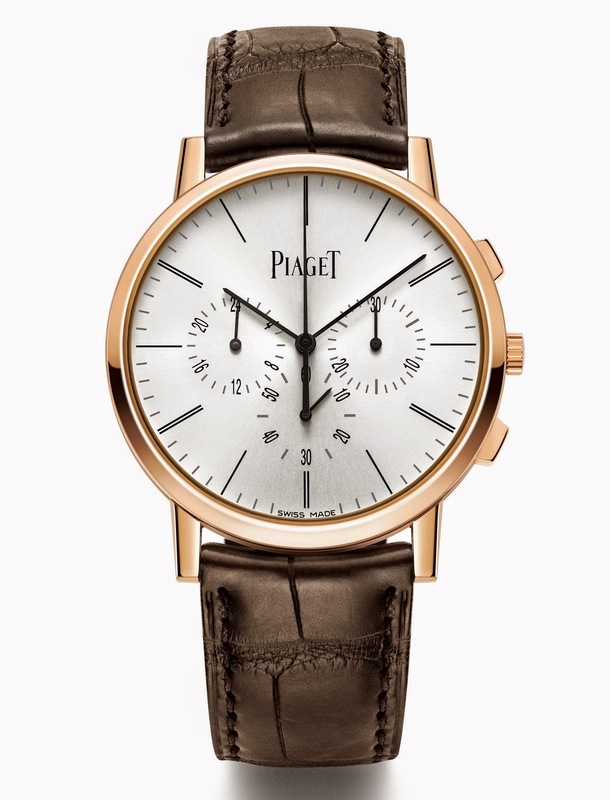 The retail price of the Piaget Altiplano Chronograph will start at about Euro 25,000 / US$ 29,000 for the pink gold version.